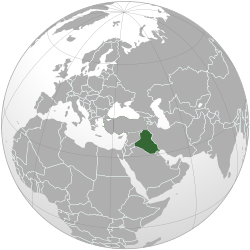 Iraq , officially the Republic of Iraq , is a country in Western Asia encompassing the Mesopotamian alluvial plain, the northwestern end of theZagros mountain range, and the eastern part of the Syrian Desert. Iraq borders Turkey to the north, Iran to the east, Kuwait to the southeaSaudi Arabia to the south, Jordan to the southwest, and Syriato the west. Iraq has a narrow section of coastline measuring 58 km (36 mi) on the northern Persian Gulf. 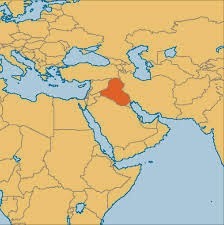 The capital city, Baghdad is in the center-east of the country. Two major rivers, the Tigris and Euphrates, run through the center of Iraq, flowing from northwest to southeast. These provide Iraq with agriculturally capable land and contrast with the steppe and desert landscape that covers most of Western Asia. 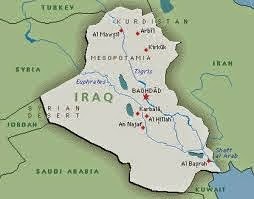 Iraq has been known by the Greek toponym 'Mesopotamia' (Land between the rivers) and has been home to continuous successive civilizations since the 6th millennium BC. The region between the Tigris and Euphrates rivers is often referred to as the cradle of civilization and the birthplace of writing. At different periods in its history, Iraq was the center of the indigenous Akkadian, Sumerian,Assyrian, and Babylonian empires. It was also part of the Median, Achaemenid, Hellenistic, Parthian, Sassanid, Roman, Rashidun,Umayyad, Abbasid, Mongol, Safavid, Afsharid, and Ottoman empires, and under British control as a League of Nations mandate. Iraq is home to two of the world's holiest places among Shias: Najaf and Karbala. Iraq's modern borders were mostly demarcated in 1920 by the League of Nations when the Ottoman Empire was divided by the Treaty of Sèvres. Iraq was placed under the authority of the United Kingdom as the British Mandate of Mesopotamia. A monarchy was established in 1921 and the Kingdom of Iraq gained independence from Britain in 1932. In 1958, the monarchy was overthrown and the Republic of Iraq was created. Iraq was controlled by the Ba'ath Party (Iraqi-led faction) from 1968 until 2003. After an invasion led by the United States of America including multinational forces, the Ba'ath Party was removed from power and multi-party parliamentary elections were held. TheAmerican presence in Iraq ended in 2011.